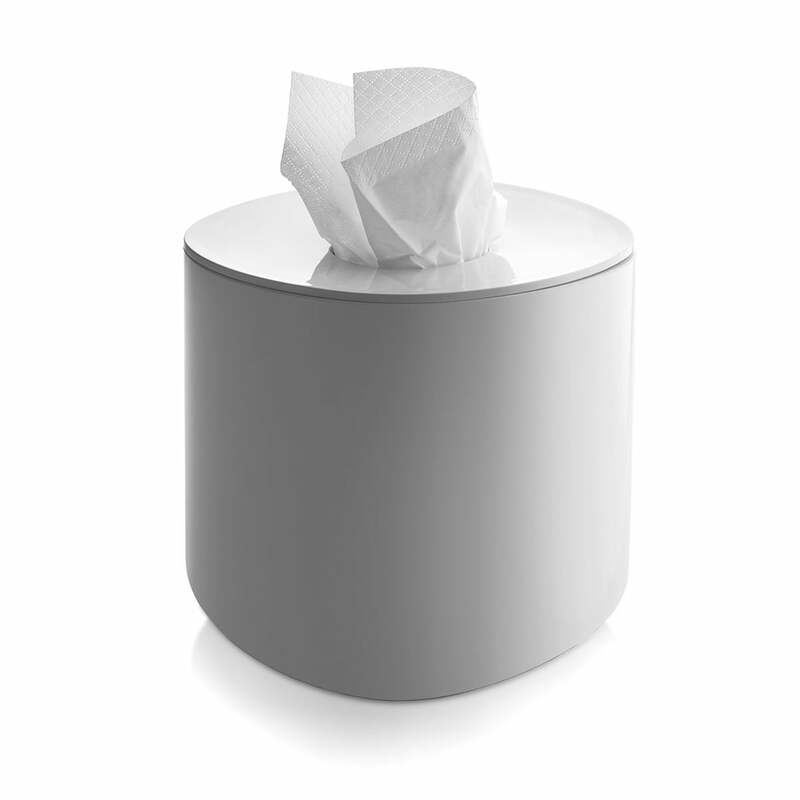 The small tissue box by Alessi dresses the practical paper tissues in an elegant coat. The tissues, which should not be missing in any bathroom, unfortunately usually appear in an unsightly cardboard container that will end up in a corner or in a cupboard. 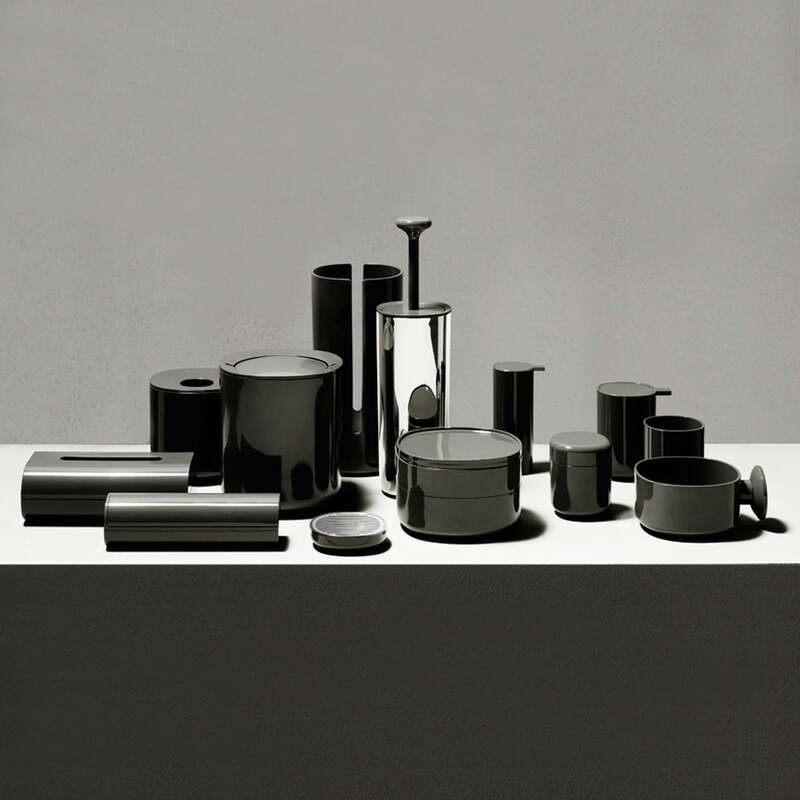 Alessi and the designer Piero Lissoni put an end to this visual flaw: Tissues can now be proudly presented in an elegant and stylish packaging, a design object by Alessi. The small tissue box convinces on its own or as part of the ensemble of the whole Birillo collection with its soft lines, its elegant simplicity and the qualities that make the Piero Lissoni collection stand out from the masses of bathroom accessories. The rounded base makes the floor space invisible; the objects of the family seem to float, to drift across the ground of the bathroom. 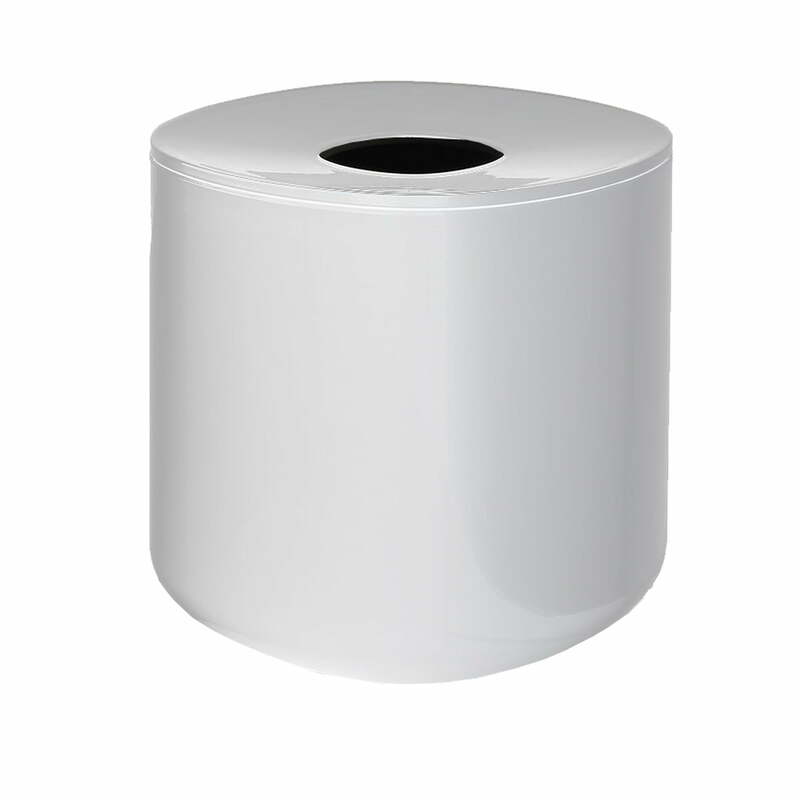 The tissues dispenser is part of the Birillo collection created by the star designer Piero Lissoni for Alessi. Simple and beautiful, practical and extensive – Birillo offers the possibility of completing the bathroom and giving it an elegant and harmonious appearance. Regarding the design, Piero Lissoni based his Birillo creations on a rounded square which evolves into different three-dimensional bodies. The designer himself describes the form as an “imperfect square or completely misshapen round form”.